The Panthers fell to Oak Cliff Faith Family Academy, 53-51. SAN ANTONIO — It was a cruel twist of emotions in a matter of 24 hours. One night after Parker McCurdy drained a buzzer-beating three-pointer to beat Decatur in the state semifinals, Oak Cliff Faith Family Academy beat Liberty Hill in the 4A state championship game with a dunk as time expired. Liberty Hill led at halftime by 10, 30-20. But Oak Cliff Faith Academy outscored Liberty Hill in the third quarter, 17-10. The Panthers tied it up at 51 after Walker Baty's layup dropped with 21 seconds remaining. Faith Academy managed to beat the Liberty Hill full-court pressure and patiently waited for a shot to take. With two seconds remaining, the Eagles found Jordan Walsh all alone under the basket and Walsh flushed it with authority and the clock trickled down to zeroes. 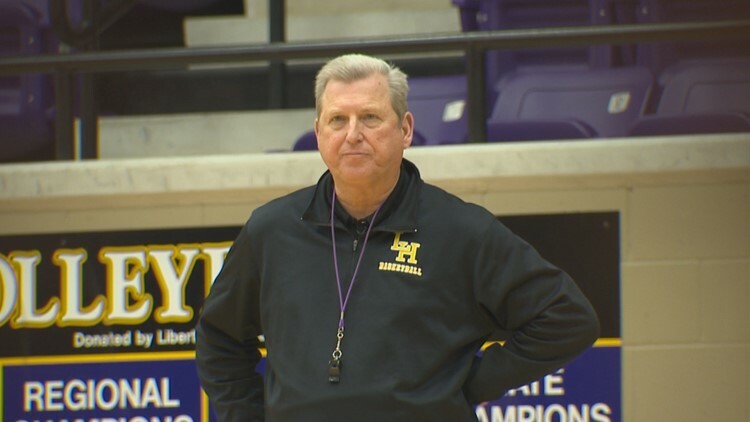 Liberty Hill lost, 53-51, finishing the season as Class 4A state runners-up with a 34-7 overall record.